The origin to the words of "The grand old Duke of York" are believed to date back to the Plantagenet dynasty in the 15th century and refer mockingly to the defeat of Richard, "The grand old Duke of York" in the Wars of the Roses (1455). This war was between the house of York (whose symbol was a white rose) and the house of Lancaster (whose symbol was a red rose). The Wars of the Roses lasted for over thirty years and were equivalent to a Civil War. 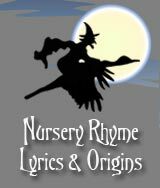 The words of the Nursery rhyme are believed to refer to Richard, Duke of York, claimant to the English throne and Protector of England and the Battle of Wakefield on December 30, 1460. The Duke of York and his army marched to his castle at Sandal where Richard took up a defensive position against the Lancastrian army. 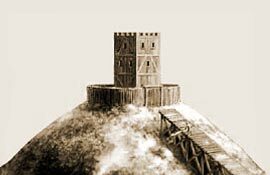 Sandal Castle was built on top of the site of an old Norman motte and bailey fortress. Its massive earthworks stood 33 feet (10m) above the original ground level ("he marched them up to the top of the hill"). In a moment of madness he left his stronghold in the castle and went down to make a direct attack on the Lancastrians " he marched them down again". His army was overwhelmed and Richard the Duke of York was killed. 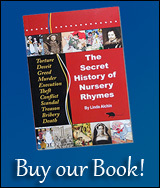 A similar Nursery rhyme is The King of France went up the hill.